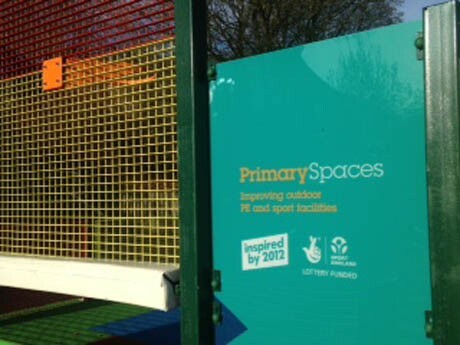 Haworth Primary School Primary Spaces project was one of our first installations within this project for Sport England and certainly threw up a few challenges for Team Pennine. Nestled in the beautiful, idyllic Bronte country, the access through to the area to receive the new multi use games area was far from easy, however with an intuitive think outside the box moment from the Team Leader, we negotiated access via a lower entrance point using mini diggers and dumpers. 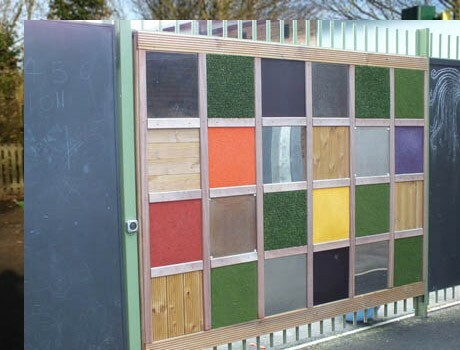 The original site proposed for the siting of the 12m x 7m PS3 was revisited with our design team and it was proposed to rework the designs to site the new muga facility onto a previously unused tarmac hardstanding, which was dilapidated and in a poor state of repair. 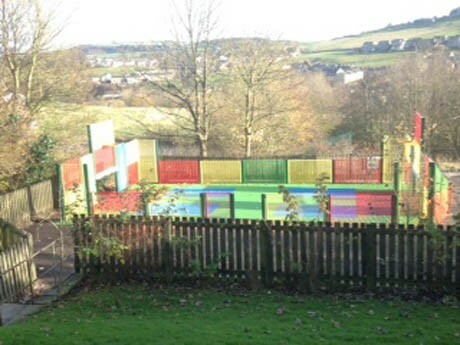 Not only were the school therefore retaining their original sports court, but Haworth Primary were also now gaining an additional play space which was previously considered out of bounds. The 12m x 7m mesh rebound ball court system has provided an invaluable new facility where structured PE lessons and after school activities take place, as well as free play at lunch and break times. 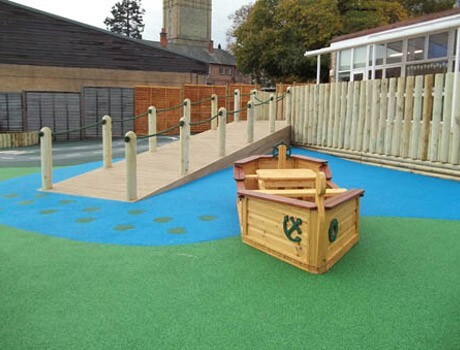 The vibrant Flexiplay wetpour safety surfacing provides clear areas to play within and provides a significantly improved play surface. 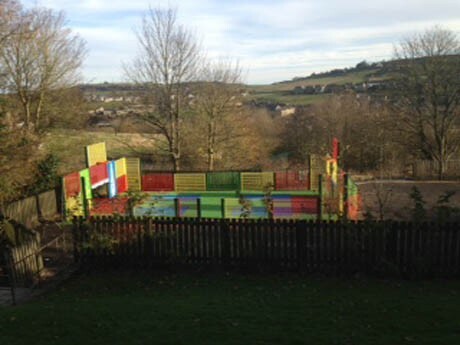 The new play area can be used as a single court for any number of sports, or can be used by small groups of children each working within their own designated section of the marked grid. 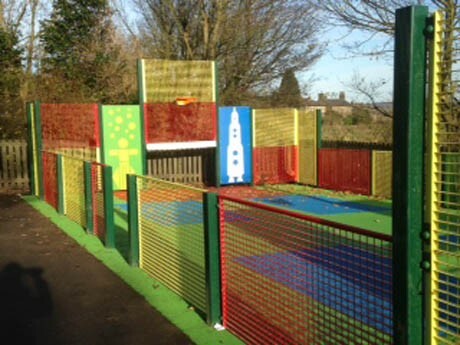 The coloured graphics boards provide opportunities for goal scoring within many sports and target practice.